I would argue that there is a certain stereotype to Mechanical Engineers—either they’re nerdy or super greek. Surprise! From my experience that’s not necessarily true. Meet Allie Anderson, my chosen Mechanical Engineer cutie of the week! Let’s get to know her better below! p.s. 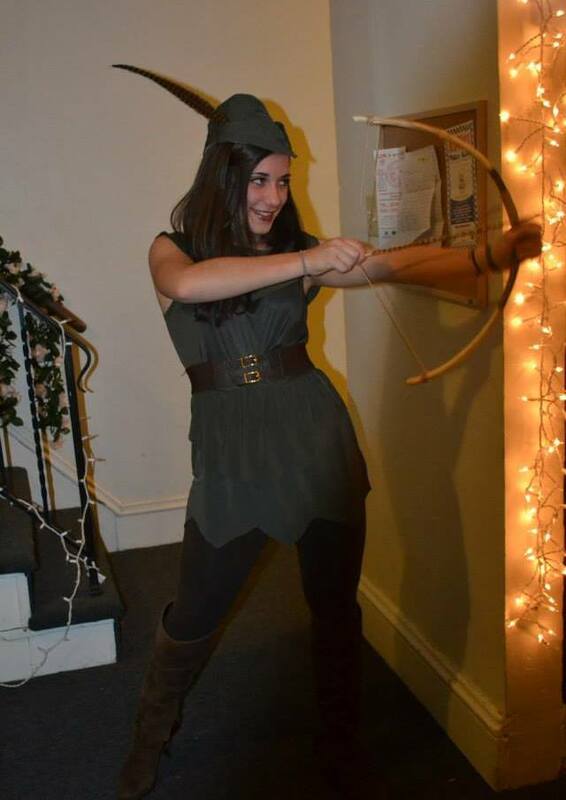 She made the bow and arrow herself for her halloween costume! So innovative!! favorite class at Lehigh: IPD because its really interesting and fun to get to put classroom knowledge to use in a real situation. favorite teacher so far: I’m partial to Ozturk as a professor. I’ve had him for 4 different classes so I’m used to the way he teaches. He knows me and is super helpful if you go in for office hours. He also has a subtle sense of humor that you can pick up on if you really pay attention in class. how you spend your free time: I like to spend my free time enjoying the outdoors with friends and learning new hobbies. I recently started learning how to unicycle. It’s way harder than it looks. favorite memory at Lehigh: When my roommates, Ali and Tash, got a kitten and kept her in our room for a few weeks until we got evacuated for hurricane sandy. this girl seems really fun!! “Favorite food: raisins” …not peanut butter?! ?